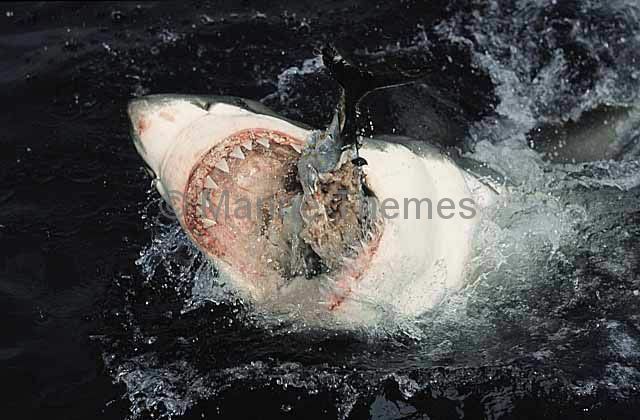 Great White Shark (Carcharodon carcharias) Feeding at the surface. 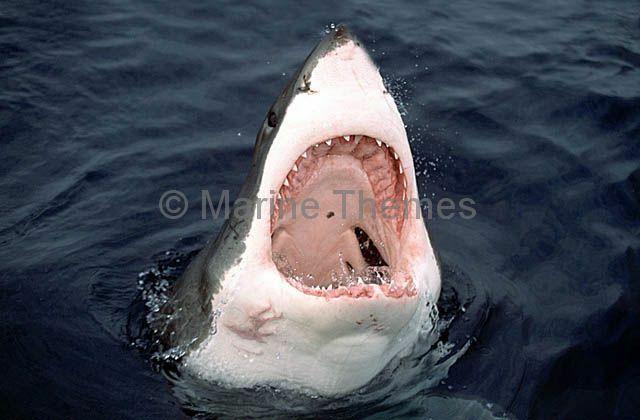 Great White Shark (Carcharodon carcharias) Attacking on the surface showing the eye rolling back to protect the eye while biting. 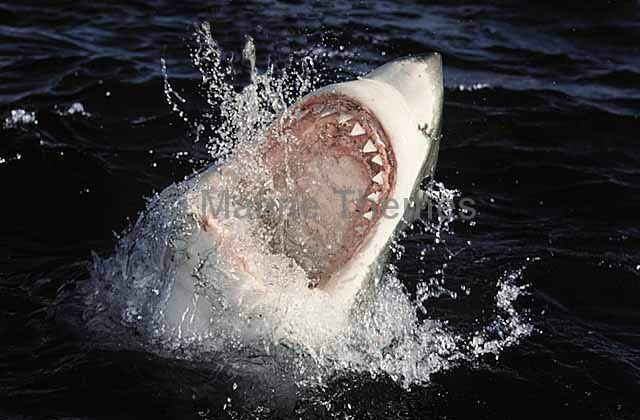 Great White Shark (Carcharodon carcharias) Attacking on the surface. 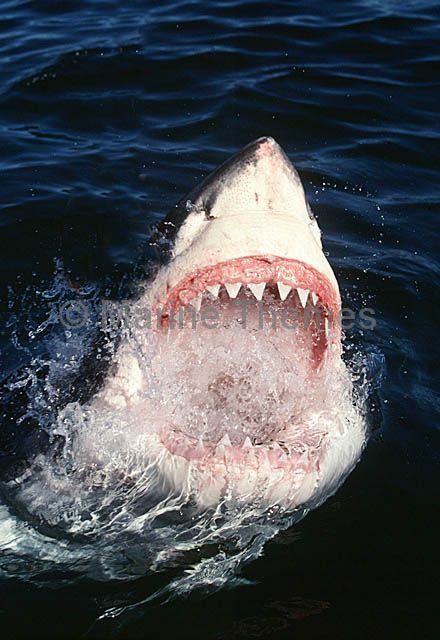 Great White Shark (Carcharodon carcharias) Jaws open, attacking above the surface. 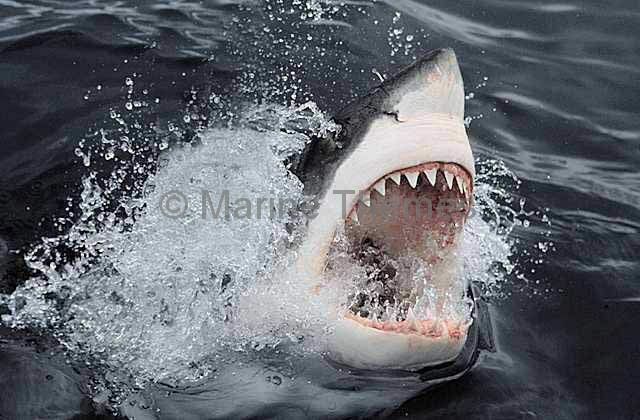 Great White Shark (Carcharodon carcharias) Attacking at the surface. 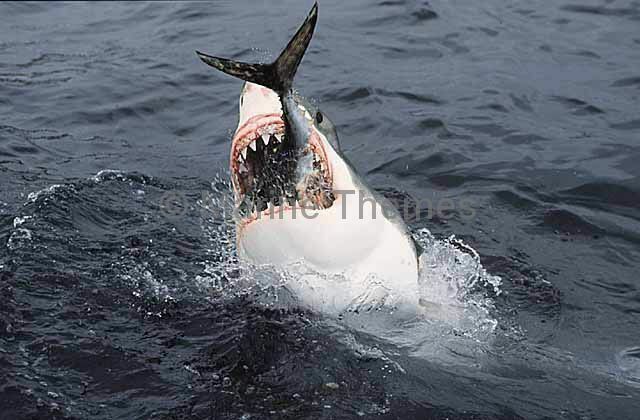 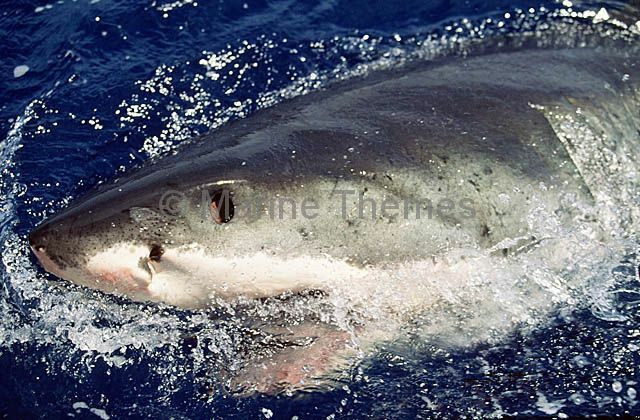 Great White Shark (Carcharodon carcharias) Attacking Southern Bluefin Tuna (Thunnus maccoyii) at the surface. 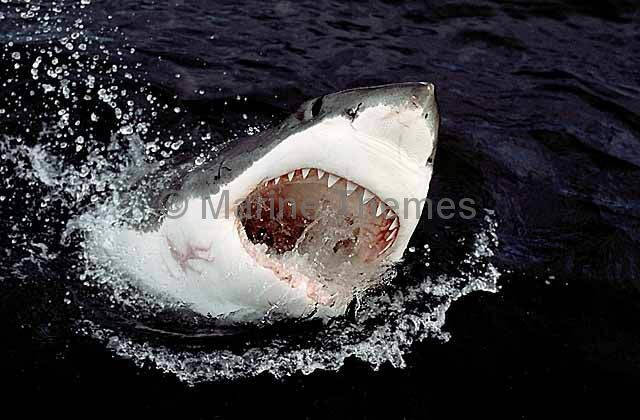 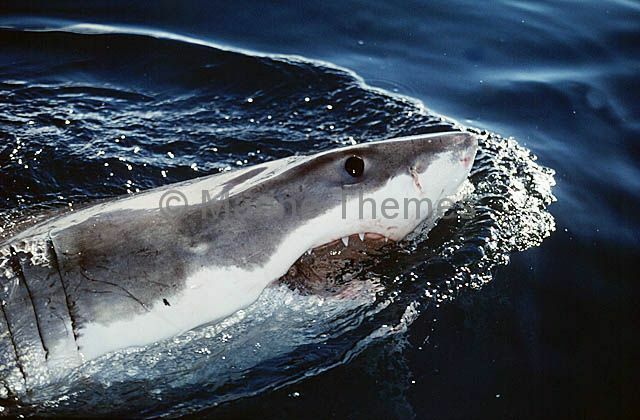 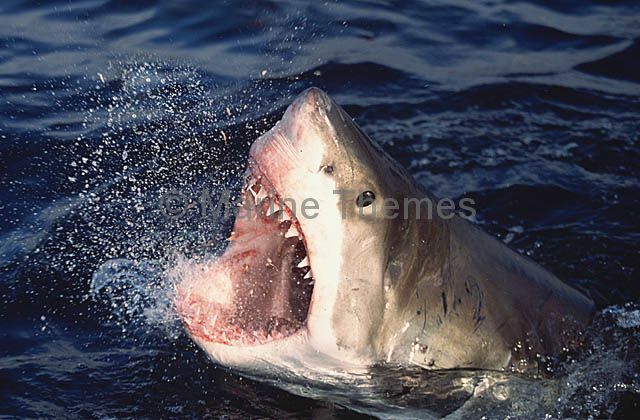 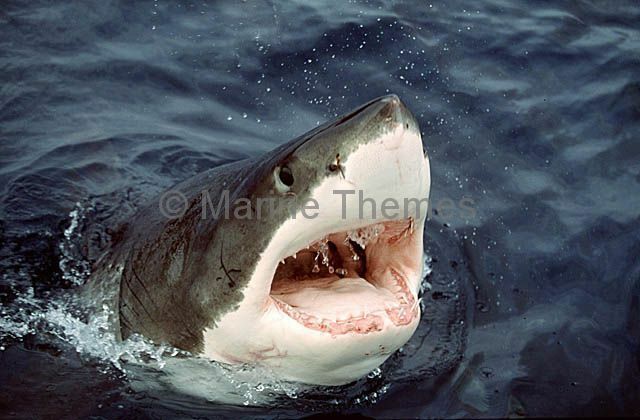 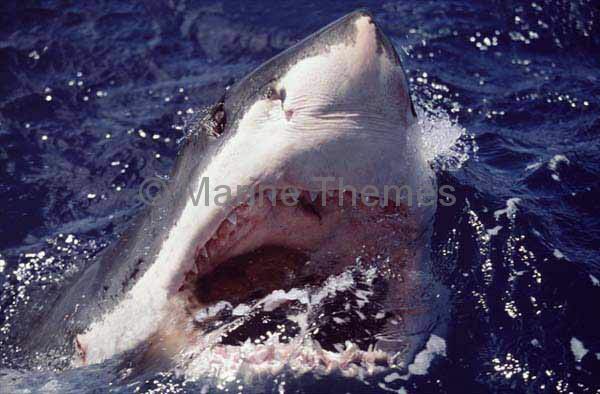 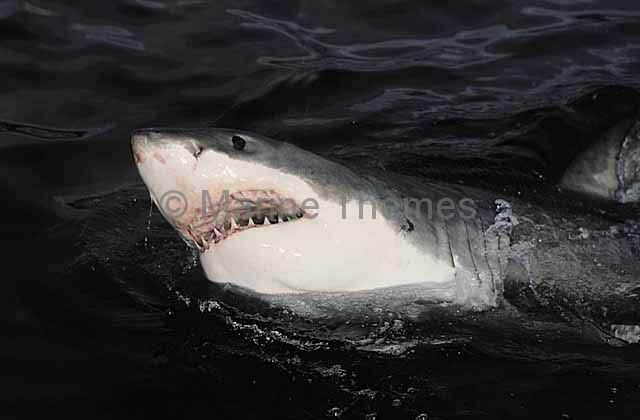 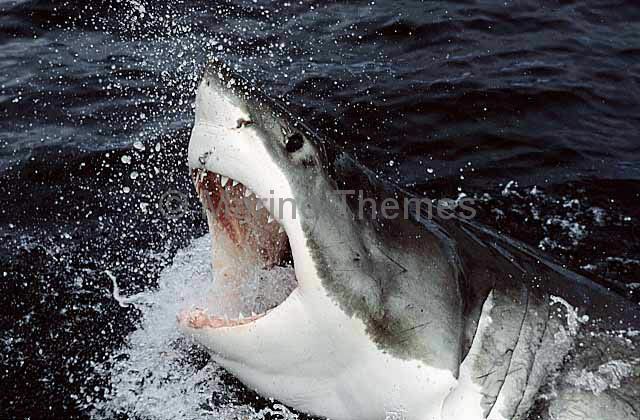 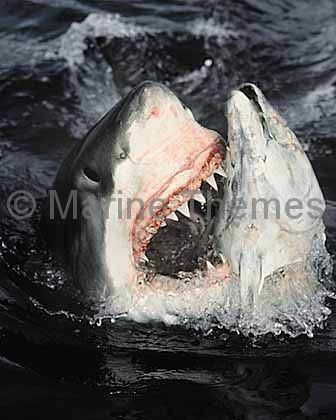 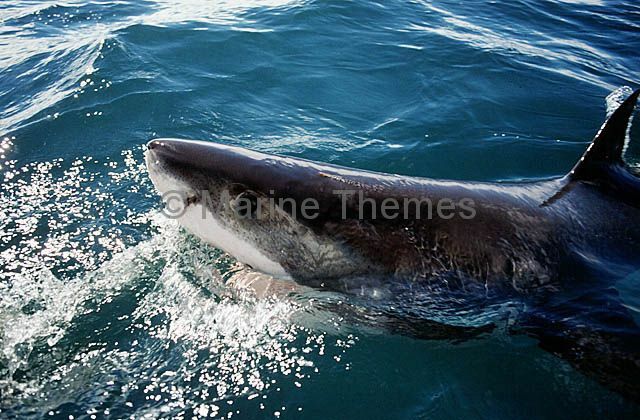 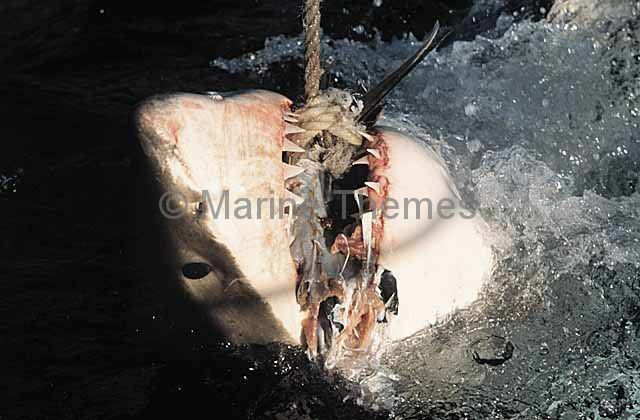 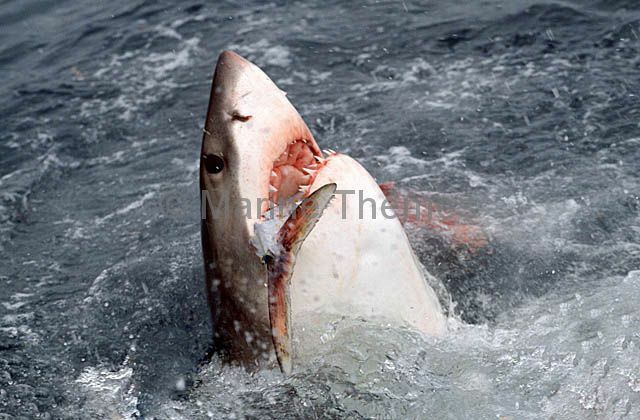 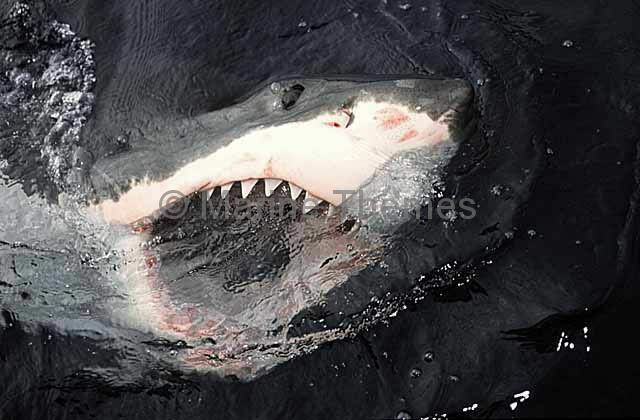 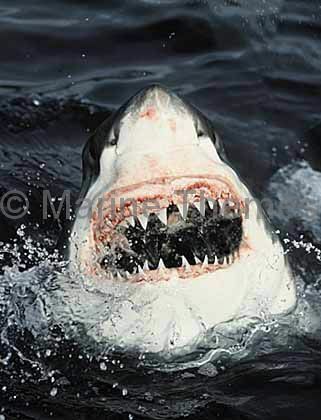 Great White Shark (Carcharodon carcharias) Attacking at the surface with injury scar on side of throat.